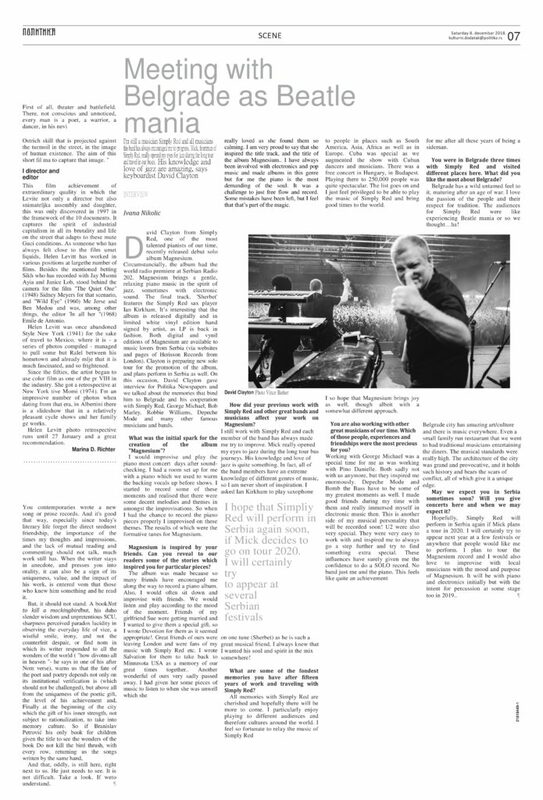 David Clayton gave an interview for the oldest and the most renowned Serbian newspapers ‘Politika’. The interview is published in a special section called ‘Culture, Arts & Science’ (Kultura, umetnost i nauka) on December 8th, both in printed and digital edition. The digital edition of Politika is fully available only with paied subscription and we are grateful to the editor Marija Djordjevic for sending us the full version of David’s interview. 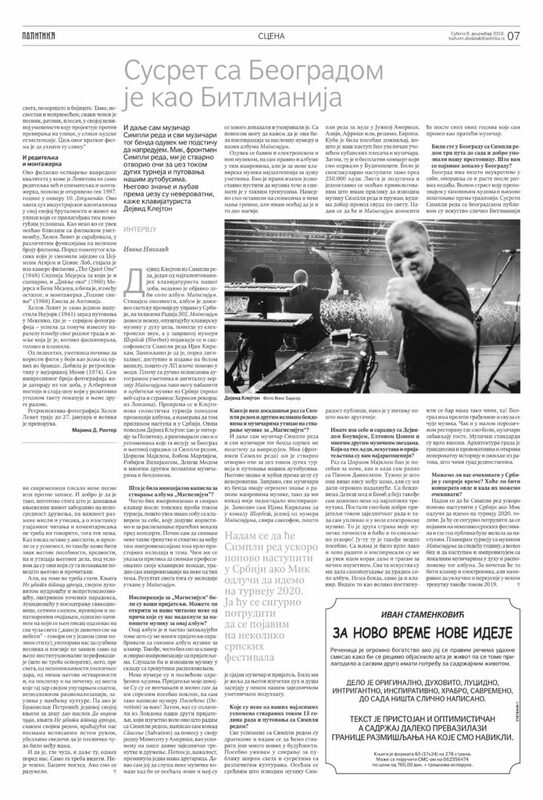 You may find the original interview in Serbian here. We created translation with original design and you may read the whole interview in English here. You may see both versions in a gallery bellow as well. There is also a teaser online both in Cyrillic and Latin letter at the Politika Newspapers website. 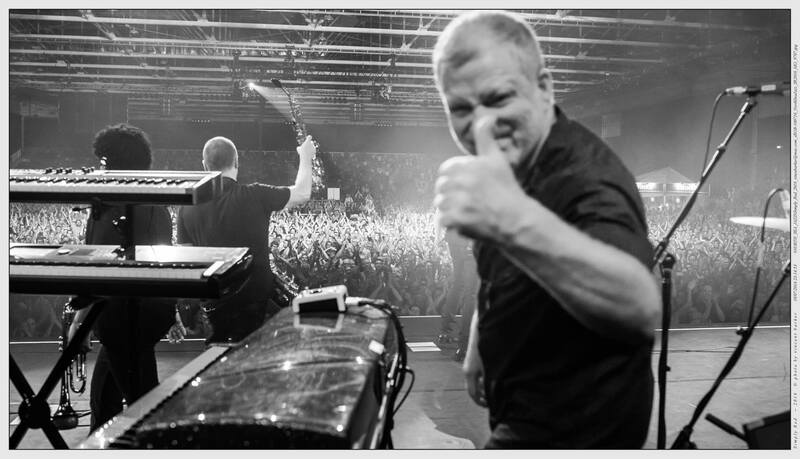 Simply Red – Symphonica in Rosso Album & DVD Out Now! Two Magnesium Tracks on SoundCloud!